It's humbling to think of the many years that we've been making Planar Triodes - Over 40 years! Prior to 1987, we were General Electric's Microwave Products Department (MPD). 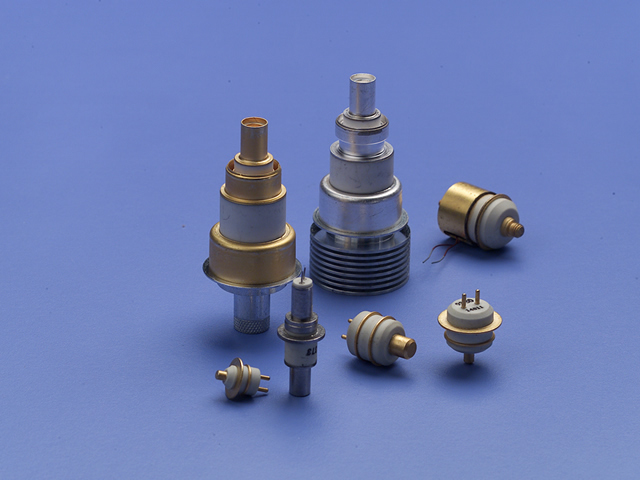 Some of our triodes accompanied the first astronauts into space, while today typical applications include microwave cavities used for aircraft transponders, Distance Measuring Equipment (DME), Identification Friend or Foe (IFF) equipment, missile proximity fuse radar and aircraft radar altimeters. Our triodes are powerful, compact and lightweight. They excel at being more efficient in pulse applications. In other words, our planar triodes can provide higher peak power for the same power input than other forms of active devices. We have provided a table of Planar Triodes Sorted By MPD Part Number to help you locate the right triode for your application or feel free to contact us. We also have individual type data sheets available upon request.